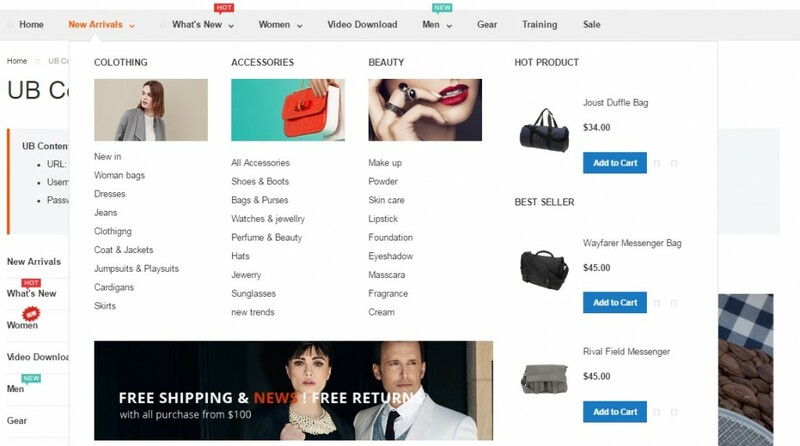 Provide visitors with better navigation and get a perfect chance to direct them to where you want with the Magestore Magento 2 Mega Menu extension. The popular interface improvement in the interpretation of Mageworx provides lots of advanced features, and we describe them below. By creating a stunning navigation system, you not only increase chances that visitors will easily find what they are looking for, but also improve the possibility that they will return to your Magento 2 website because of its user-friendly interface. How does Mega Menu make the default navigation better? First of all, the extension offers both horizontal and vertical menus. You can choose one that suits your store the best or activate both. Note that each solution supports such effects as fades, slides, and toggles. Next, you can customize the menu appearance. 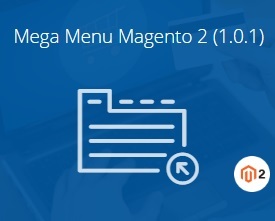 The Magestore Mega Menu Magento 2 extension provides the ability to change menu width, add icons, and choose a new position. If you are wondering about mobile experience, which is extremely important nowadays, the Mega Menu extension is fully responsive, so it doesn’t matter what devices are used for shopping on your Magento 2 website. And there is no need to learn CSS to implement changes because the backend interface is admin friendly. 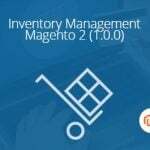 Check the following section to see how things are done on the admin side of Magestore Mega Menu for Magento 2. All elements of your mega menu are gathered in a grid that shows their ID, name, menu type (Top or Left), submenu type (all types are described further in this post), link, status (enabled or disabled), and sort order. You can edit each menu item via the Action column. As for mass actions, they let you change status or delete several items simultaneously. Note that there is export functionality, you can disable/enable/refresh cache as well as add new items. While adding a new mega menu item, you should fill in two option tabs: General Information and Content information. In general information, add an item name, select store views, add item link, specify a sort order, upload a menu item icon, choose a type (Top or Left), and select status (enabled/disabled). The content information tab allows you to configure the form and detailed information of the new menu item. It consists of 4 blocks: General Configuration, Main Content, Feature Content, and Header & Footer Content. 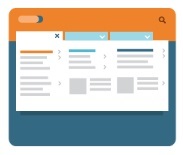 As for content types, they are Anchor Text, Default category Listing, Static Category Listing, Dynamic Category Listing, Product Listing, Product Grid, Dynamic Product Listing by Category, and Contend. Depending on the type you choose, the Main Content section changes its appearance. In General Configuration, you choose item’s width and one of 4 alignment types: from left/right menu/item. For Default Category Listing, you select categories shown in the menu item. No more sections are available. 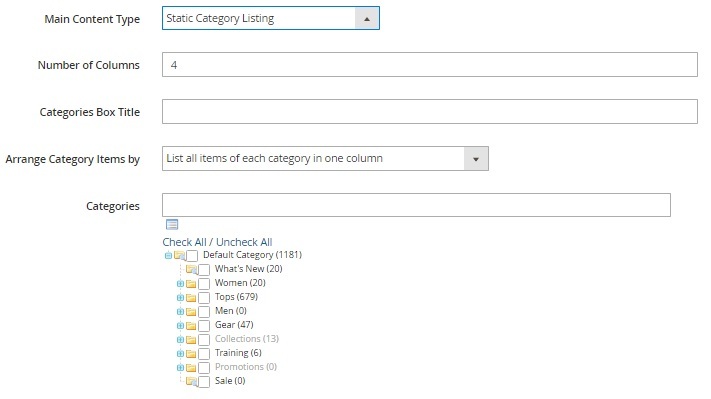 For Static Category Listing, choose a number of columns, specify a categories box title, select how to arrange category items, and choose categories. 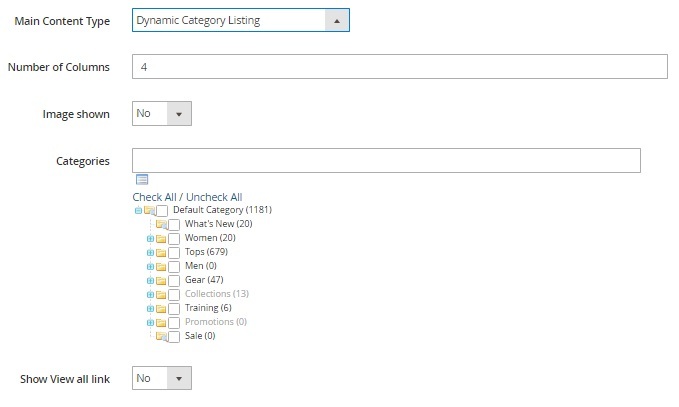 Dynamic Category Listing requires specifying the number of columns and selecting categories. Besides, you should decide whether to show images and the “View All” link. For Product Listing, add a number of columns and a product box title, select products, and add/configure a product label. In case of the Product Grid content type, this section has the same design. 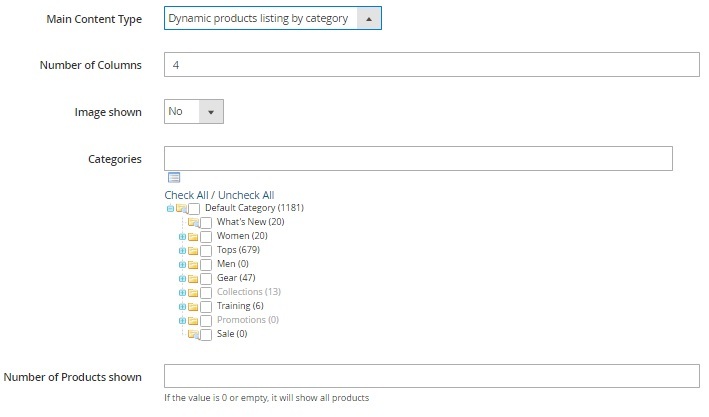 If you choose Dynamic Product Listing by Category, the Main Content block requires the following data to be filled in: number of columns, categories, and number of products shown. Besides, you decide whether images can be displayed or not. 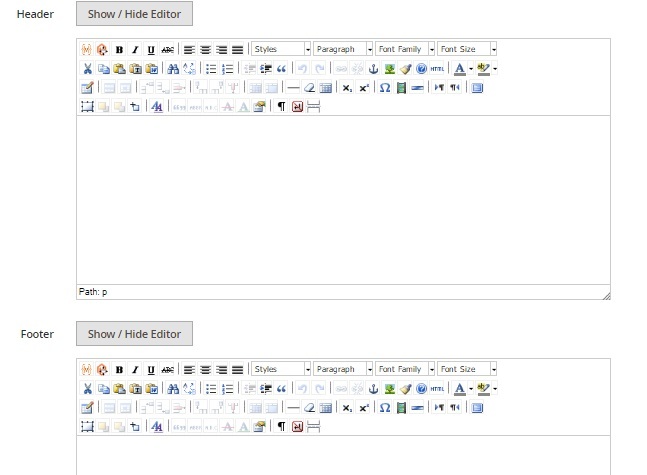 In case of the Content type, the section offers an editor. 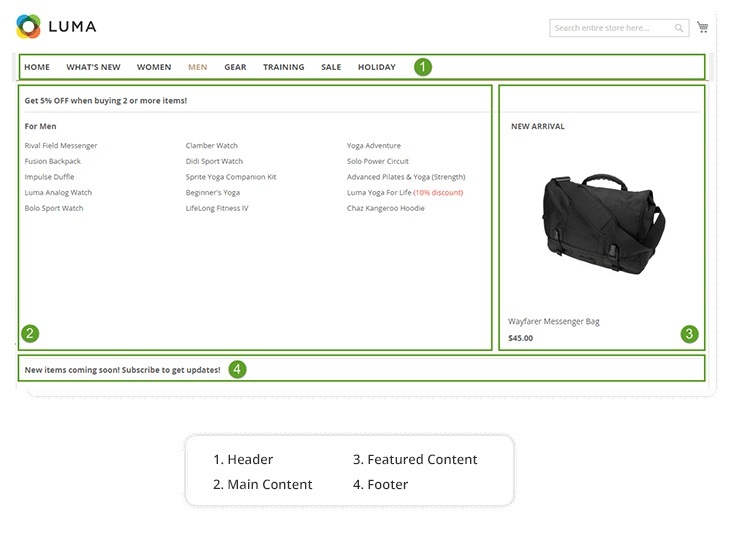 In Featured Content, you select featured content type (product, category, content, or none) and width. For product and category, you should specify a featured box title, a number of columns, and featured products/categories. In case of the Content type, the text editor appears instead of these options. As for Header & Footer Content, there are two text editors in this block. 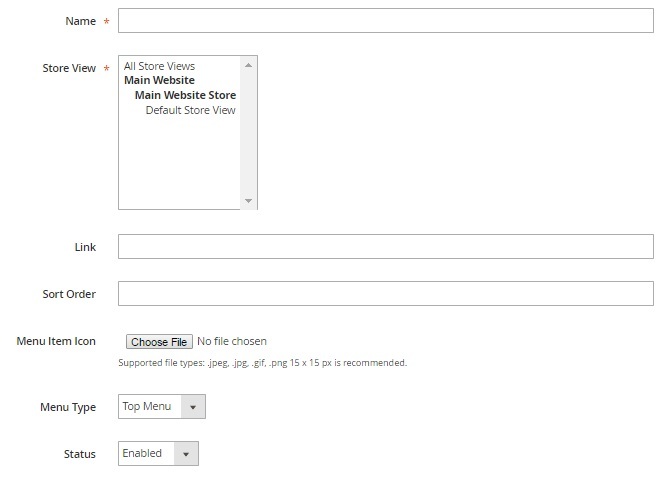 The Magestore Mega Menu extension configuration is divided into 5 sections: General Configuration, Top Menu Configuration, Left Menu Configuration, Mobile Version Configuration, and Customize Style. In General Configuration, you enable/disable Mega Menu on the frontend pages of your e-commerce store and choose one of three menu effects: fade, toggle, or slide. 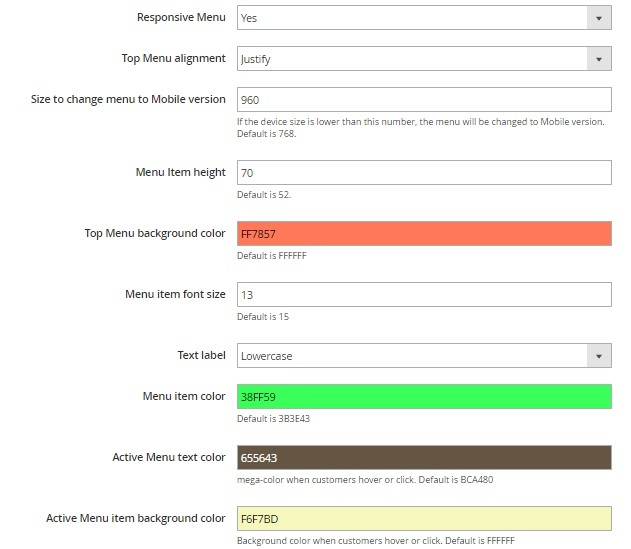 Top Menu Configuration, Left Menu Configuration, and Mobile Version Configuration sections contain various settings related to element colors and dimensions. To make more advanced customizations, use the last section. Here you can add CSS code. 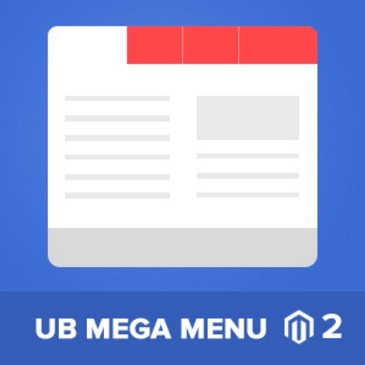 Mega menu is a must-have addition to every Magento 2 e-commerce website, and now you have a reliable tool for adding it to your online storefront. For more Magento 2 frontend improvements, check this post: Magento 2 Extensions for Improved Frontend. 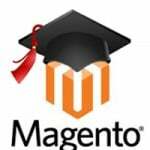 As for the price of Magestore Mega Menu for Magento 2, the module costs $199. 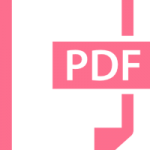 Its predecessor is two times cheaper – just $99.